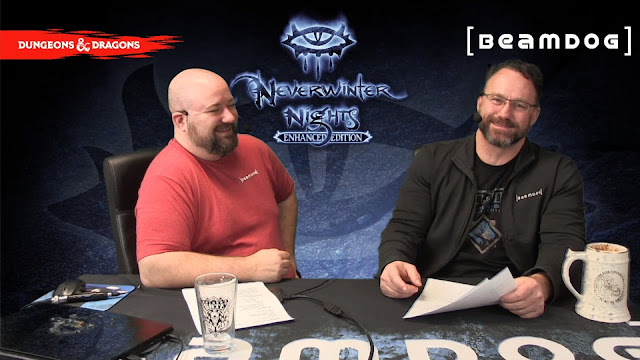 During today’s livestream Beamdog CEO Trent Oster and Producer Luke Rideout shared the latest news on Neverwinter Nights: Enhanced Edition, the mobile version of NWN:EE, and Infinity Engine games. 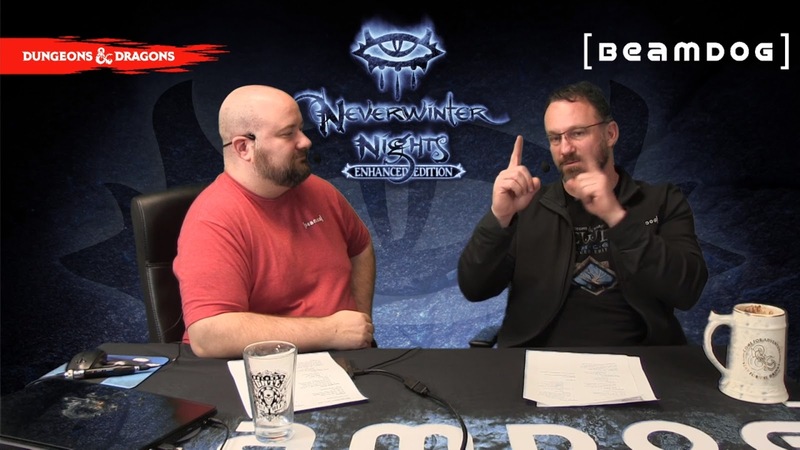 They discussed features of the next patch for Neverwinter Nights: Enhanced Edition and answered a few community questions. Planescape: Torment: Enhanced Edition and Planescape: Torment: Enhanced Edition Official Soundtrack are 40% off on Beamdog.com this weekend! Web Developers, Programmers, Lead Programmers, and Technical Artists - start 2019 off right with a new job at Beamdog! Check out our career page and apply! The 20th anniversary of Baldur’s Gate is coming up, and we’re preparing a special contest! Sign up for our newsletter to be the first to learn about it! Neverwinter Nights: Enhanced Edition went live on Google Play this week, and it’s on the second spot in the current Top Paid Apps list! A big thanks to all the beta testers who jumped in to play Neverwinter Nights: Enhanced Edition on Android early! Your feedback really helped the team. The 2.6 patch for Baldur’s Gate: Enhanced Edition, Baldur’s Gate II: Enhanced Edition, Baldur’s Gate: Siege of Dragonspear, and Icewind Dale: Enhanced Edition will come later than we initially planned, as we ran into an unforeseen problem with the Dice, Camera, Action! Voice and Portrait Pack and the team pack. According to Luke, Beamdog’s expansions, DLC and addons should be considered canon in the same way the original games are. 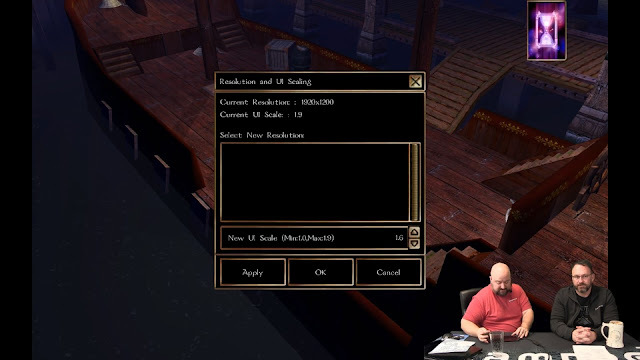 Luke shows dynamic scaling for different screen sizes in Neverwinter Nights: Enhanced Edition on Google Play. We’re working on the next patch for Neverwinter Nights: Enhanced Edition. New main menu art, achievements, bug fixes and features, including True Type Fonts support, keyholing, and fine UI scaling will come to the desktop version of NWN:EE with the next stable patch. Achievements are already available in Neverwinter Nights: Enhanced Edition on Google Play, and they cover the original Neverwinter Nights campaign and two expansion packs (Shadows of Undrentide and Hordes of the Underdark). Pirates of the Sword Coast, Infinite Dungeons, Wyvern Crown of Cormyr, and Darkness over Daggerford Premium Modules for Neverwinter Nights: Enhanced Edition on Google Play are purchasable through the in-game store menu. Once you do, they will automatically download to your device. Classic Premium modules are $2.99 (USD) each, and Darkness Over Daggerford on Mobile is $4.99 (USD). The size of each module is different and depends on the module: Pirates of the Sword Coast is only about 170MB, while Wyvern Crown of Cormyr is over 1GB. We’re working on implementing a solution for multi-language builds of Neverwinter Nights: Enhanced Edition in the Beamdog Client. We're shifting to a singular core game that includes text for all available languages, with audio and video available as a free separate download. NWSync will soon get updates, including auto-removing old manifests from clients when servers generate new ones, auto-reconnect users after a transfer finishes, and live-reloading resources from override. Currently we do not officially support Chrome OS devices for the mobile version of NWN:EE. We’ll look into the possibility of adding such support. 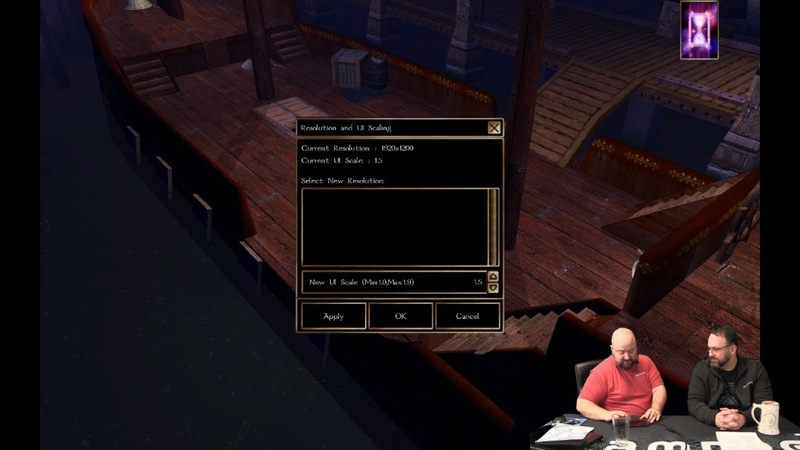 Rendering skyboxes in the Neverwinter Nights: Enhanced Edition Toolset can be implemented, but it needs to be fit into a queue of other Toolset tasks. We still have a little work on decrypting some of the NWN:EE Premium Modules and cleaning up some old remnants of internal DRM that needs to be done.